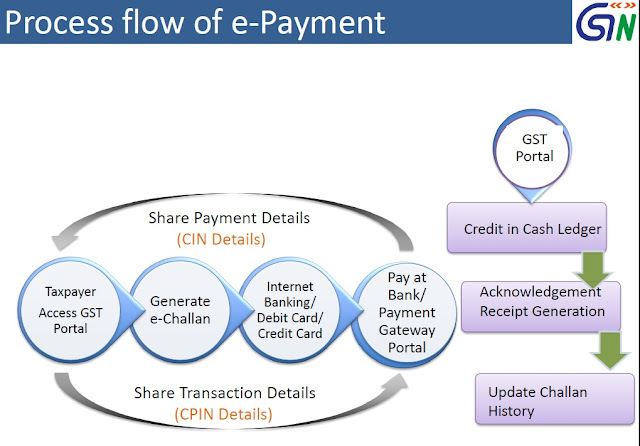 Electronic payment process- no generation of paper at any stage. 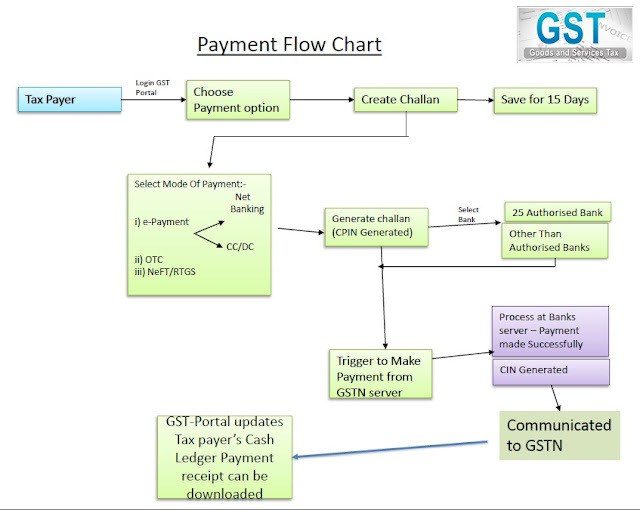 Single point interface for challan generation – GSTN. Ease of payment - three modes including CC/DC & NEFT/ RTGS. Common challan form with auto-population features. 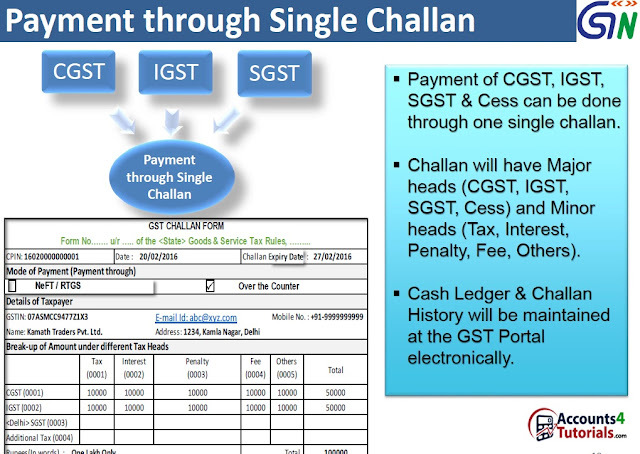 Use of single challan and single payment instrument. 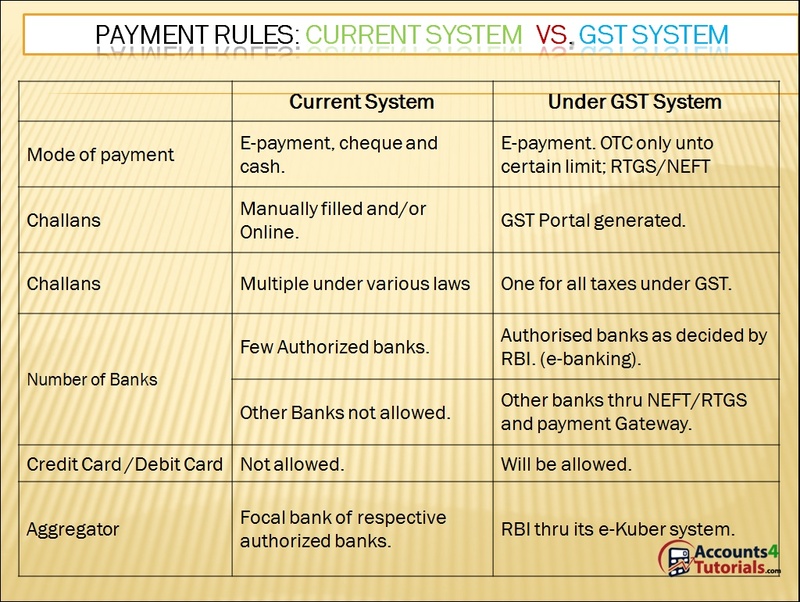 Common set of authorized banks. Through internet banking including by using Credit card (CC) /Debit cards (DC) (Mode I). Over The Counter-OTC Payment (Rs 10000) ( Mode II). Through National Electronic Fund Transfer (NEFT) / Real Time Gross Settlement (RTGS) (Mode III). Payment of CGST, IGST, SGST & Cess can be done through one single challan.